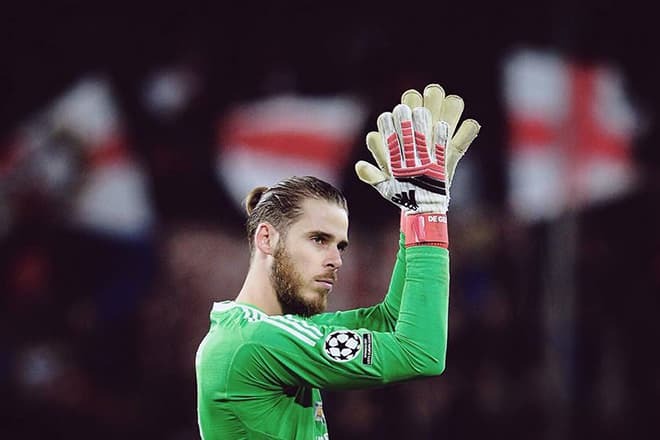 David was born on November 7, 1990, in Madrid into the family of the former Getafe goalkeeper José de Gea and housewife Mariví Quintana. The boy was the late and only child in the family. He grew up in Illescas, the province of Toledo in Spain. The family was quite wealthy, and the parents provided their son with the appropriate education as well as sports talent development conditions. However, the future sportsman’s mother believed that being a sportsman was not enough, and a person should also pay attention to studies. To her joy, David managed to combine both activities successfully. In the course of time, the love of sports that the boy inherited from his father predominated. David played for the school soccer team and appeared on the field in different positions from forward to midfielder: he was not always a goalkeeper. From his childhood, David was tall (today, the sportsman’s height is 192 cm., his weight is 76 kg.). Thanks to his physique, de Gea took up basketball for some time. 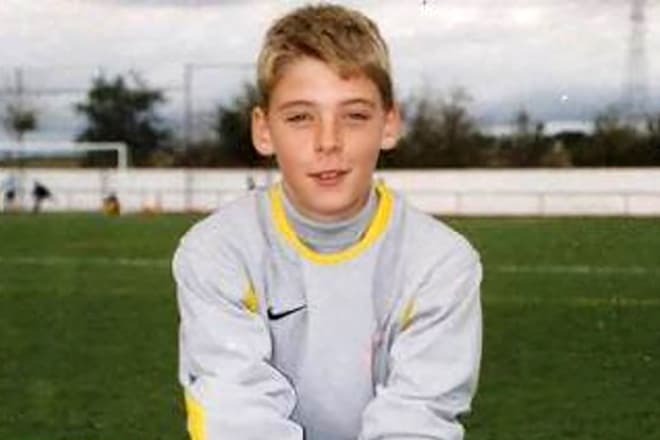 At the age of 13, de Gea was admitted to Atlético Madrid. To help the boy become the team member as soon as possible, the coach Juan Luis Martín cheated and announced that another club was going to take the promising player. As he started training in the Atlético Madrid youth team, David decided he was going to be a goalkeeper. The father played a significant role in David’s career: the former goalkeeper spent much time training his son, went to the stadium, rain or shine, supported David, and gave him advice. De Gea signed his first professional contract with Atlético Madrid in 2008. David began as the third goalkeeper in the team, but life gave him the chance to show his abilities in the game with Porto (Portugal) in 2009. Although the match was not successful for Atlético, the goalkeeper’s play was marked by the club coach. Later, David protected the team’s gate wonderfully in the Primera División match and became the main goalkeeper. The 2009-2010 season was favorable for Atlético Madrid, and the rock-solid protection by the goalkeeper contributed to this success. For the first time after the 48-year break, the club won the UEFA Europa League Cup. The young goalkeeper attracted attention of the world’s soccer clubs. In 2011, the Manchester United permanent gate guard Edwin van der Sar decided to finish his field career. The club administration began to look for a candidate worthy becoming the new goalkeeper. The young and promising player David de Gea was selected. However, the Atlético authorities did not agree at once: the goalkeeper star was needed until the end of the European Under-21 Championship. As long as the Spanish national under-21 soccer team won the championship, the clubs organized the transfer for £18.9 million; at that time, the sum was recording for a goalkeeper. It was challenging for the young goalkeeper to start in Manchester United. Increasing physical activities and psychological pressure made the impact on the results: in the first two games for the Red Devils, the Spanish player was not brilliant. Still, his third match was better: no goal was scored in the Manchester’s gates. De Gea’s work was spotless. From that time, the Spanish continues to prove he is the main goalkeeper in one of the best soccer clubs in the world. In 2015, the contract with the English club was extended until 2019. Jorge Mendes is the player’s agent; he also represents other soccer stars such as Cristiano Ronaldo and Diego Costa. 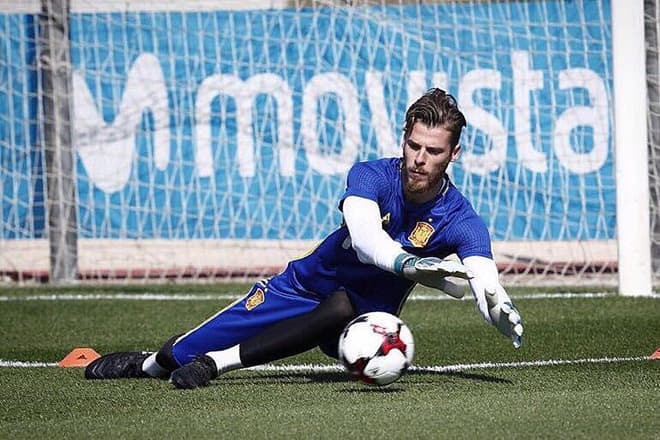 De Gea takes part in the international games of the Spanish national team. The national team goalkeeper career began in the youth team: he played the recording 27 games for the country. In 2011 and 2013, de Gea and his team won the European Under-21 Championship. In 2012, the sportsman took part in the Olympic Games. In 2014, he debuted as the Spanish national team goalkeeper in the friendly game with El Salvador at the World Cup. He continued to be the main goalkeeper at UEFA Euro 2016. 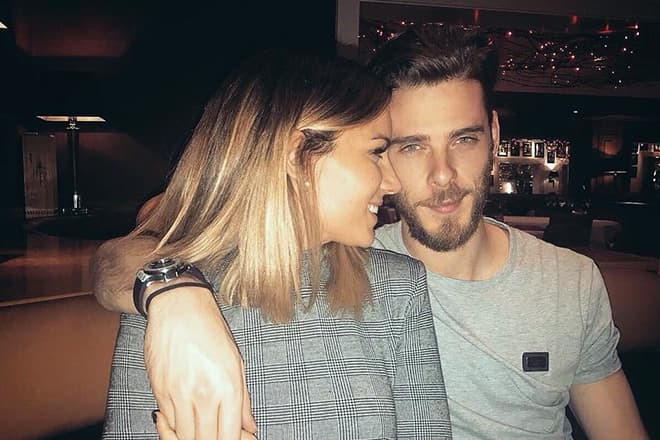 The young soccer player is in a committed relationship with the Spanish singer, TV presenter, and model Edurne who is five years older than David. In 2015, Edurne represented Spain in Eurovision, although she was not very successful: she placed 21st in the final tour. The couple’s private life is cloudless and calm. The lovers’ photos often appear in the media and on their Instagram pages. Edurce is likely to become the soccer player’s wife. In 2012, the goalkeeper was diagnosed with hyperopia. Fortunately, the eye problems did not influence his career and playing. When David appears on the field, he uses contact lenses. 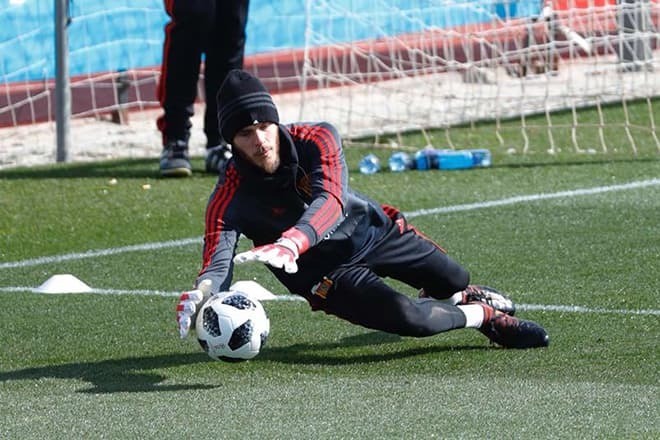 Although the goalkeeper’s girlfriend sings pop songs, de Gea is a passionate fan of heavy metal. Slipknot and Avenged Sevenfold are his favorite groups; he often visits their concerts in Manchester. 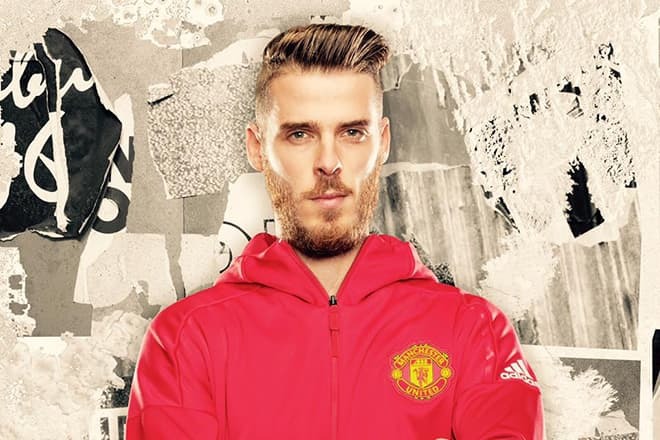 The great number of Instagram followers prove the sportsman’s popularity: more than 9 million people subscribed to de Gea’s page. The Red Devils’ fans continue to enjoy the goalkeeper success. in 2017, de Gea had the 100th match in Manchester United when the opponent scored no goals. Judging by the resent results, sports experts believe that de Gea may be called the best goalkeeper. Since the star Manuel Neuer backed down a little after his injury, David is on the rise in the rating of the best world’s goalkeepers. Throughout 2017 and 2018, rumors had it that the sportsman was going to transfer to Real Madrid. The Spanish player may feel he belongs to the club from his native city – the desire to change the team would be natural. However, Manchester is reluctant to let David go. The negotiations are going on; the English club considers the transfer cost may be about £100 million.